Dr Aisha Gill, Senior Lecturer in Criminology in the Department of Social Sciences, Roehampton University, is celebrating after being named "Professional of the Year" at the Asian Women of Achievement Awards 2011. The award was presented on the 19th May at a glittering ceremony in London's Park Lane, Hilton Hotel,. The award recognises professionals who have become leading practitioners in their chosen field, setting an example to other women and having their contributions recognised by their peers. Dr Gill’s activist and academic achievements have been in the area of research on health and criminal justice responses to violence against black, minority ethnic and refugee (BMER) women in the United Kingdom. She has in recent years provided expert advice to the Government, Ministry of Justice, Scotland Yard, Crown Prosecution Service, and the voluntary sector on legal policy issues related to so-called 'honour' killings and forced marriage, and has challenged politicians to be more inclusive of BMER women's voices in policy-making on issues of gender-based violence and human rights. 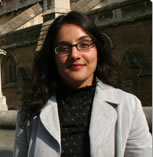 Her current research interests include the following: rights, law and forced marriage; gendered crimes related to patriarchy; 'honour' killings and 'honour’-based violence in the South Asian/Kurdish Diaspora and femicide in Iraqi Kurdistan and India; missing women; acid violence; post-separation violence and child contact; trafficking; and sexual violence.